The new paper in Nature Climate Change by Katja Frieler, a number of other colleagues and I warns that limiting global warming to 2 deg C Celsius, the threshold long-discussed at the policy level and now enshrined in the Cancun Accord, is unlikely to be enough to spare most coral reefs from climate change. 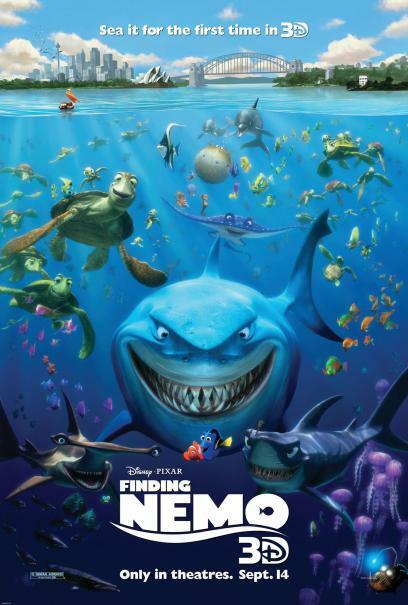 The paper might look like the same old, same old from scientists about climate change and coral reefs, a bunch of sky-is-falling pessimists out to spoil the release of the 3D version of Finding Nemo. 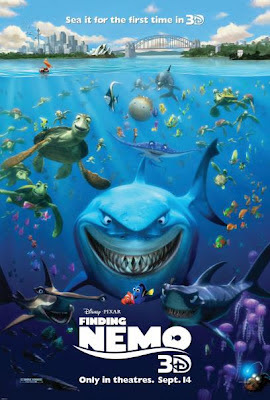 Certainly, go ahead and see the movie, it provides a pretty scientifically accurate picture of life on a “healthy” coral reef in terms of the oceanography and the behavior of reef organisms (except for the small matter of the talking fish, and, really, if a Great Barrier Reef clownfish did evolve the power of speech, wouldn't it have an Aussie accent?). It's worth also learning about what is new in this paper, and what we understand about the threat coral reefs face. Frieler et al. relates the projected frequency of heat stress events – what I often call ocean “heat waves” – in coral reefs worldwide – that can cause coral bleaching to global mean temperature change, the metric discussed so often in policy circles, the public and the press. In past studies, including several of my own (Donner et al., 2005, 2007), we estimated the frequency of bleaching events under different future greenhouse gas scenarios. In those studies, we are able to show the difference in the outcome for coral reefs between futures with different levels of atmospheric carbon dioxide (and other greenhouse gases). For example, my “Coping with Commitment" (open access) paper concludes with a discussion of the level of atmospheric CO2 necessary to avoid one definition of "dangerous" impacts to coral reefs. In those past analyses, though, if you wanted to know what the coral reefs picture looked like under some specific global mean temperature increase – like, say, the proposed 2 deg C threshold – you’d need to take apart the results and find the point in the emission scenarios were global average warming reaches (or, depending on your question, stabilizes) at that level. In response to a request in advance of the UN Copenhagen climate summit in 2009, a group of colleagues and I did that analysis (pdf) for the Caribbean and found a clear difference between the coral reef outcomes in +1.5 C and a +2 C world. Frieler et al is the first paper to do a comprehensive analysis of coral reef outcomes under different temperature thresholds for the whole planet. Frieler et al. is based on output from a huge range of climate models and scenarios, unlike previous work which employed only one or a few models. The study employed output from 19 different climate models running up to seven different scenarios, working to 32,000 model “years”. Are the numbers just inside baseball? Actually, the approach is important for two reasons. First, the vast quantity of information about the possible futures allowed the team to essentially invert the results; instead of looking at the coral reef results in the individual scenarios, the climate model output was all combined together to create a relationship between global average temperature change and the temperature change at all the reef sites around the world. This enabled the previously mentioned analysis: rather than look at the bleaching frequency for different reefs under different emissions scenarios, this study was able to look at the bleaching frequency for different reefs based on the global mean temperature change. Second, with so many models included in the analysis, the study was also able to calculate a more complete range of uncertainty in the results. My past studies, for example, employed output from individual models which were determined, from analysis, to best represent the month-to-month and year-to-year variability in tropical ocean temperatures (important since coral bleaching is a response to unusual warmth, or “heat waves”). The approach is quite sensible, but naturally led to the question: what do the other models say? Frieler et al. answers that question, and the answer is that, in general, the results are robust across all climate models. Frieler et al. 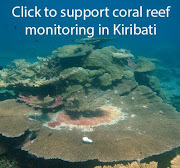 estimates the possible influence of ocean acidification on coral bleaching. Past studies, including my own, have roughly looked at the potential “positive” effect of thermal adaptation by individual coral species (physiological acclimation or actual genetic adaptation to warmer temperatures) or communities of coral species (the tough species survive, etc.) on future projections of coral bleaching and reef health. Until now, however, they have not looked at the possible inverse effect of rising levels of carbon in the ocean. There is some experimental and observational evidence that with more carbon dioxide dissolving in the ocean, corals may bleach at lower temperatures (e.g. Anthony et al., 2008). This not a certain outcome in every, or any, case; research on synergies between bleaching and acidification is still ongoing. So in Frieler et al., we do a sensitivity analysis: how would this opposite effect of ocean acidification on bleaching thresholds affect the future bleaching projections? The general answer is, not very much, because by time the acidification effect is large enough to substantially alter the bleaching thresholds, most coral reefs are already experiencing dangerously frequent bleaching events. I recommend digging into the online supplement that accompanies the article for more on this subject. In the end, perhaps what’s most striking about the study is that despite many methodological differences from previous work, the results are not surprising. In that sense, the paper shows how robust the overall climate forecast is for coral reefs. Frieler et al. also points to the importance of identifying the corals, habitats or entire reefs that are more resistant (can withstand a heat wave) or more resilient (can recover from a heat wave) than the norm, figuring out what exactly makes them tougher, and then targeting conservation at reefs with the right characteristics. This was the subject of a recent analysis by McClanahan et al. in PLoS-One (open access), and is the inspiration for my field program in Kiribati.